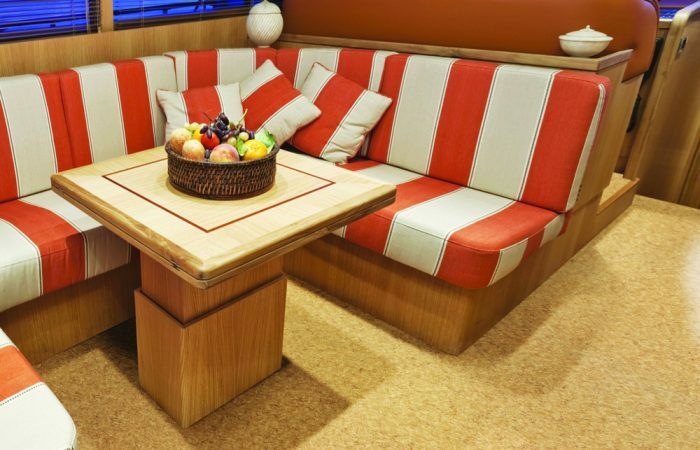 There was once upon a time that the only options for boat flooring were carpet, wood, and maybe AstroTurf (if you’re into that kind of thing). There was even that slippery, kitchen-grade linoleum flooring that surprisingly made its way into the marine industry somehow. 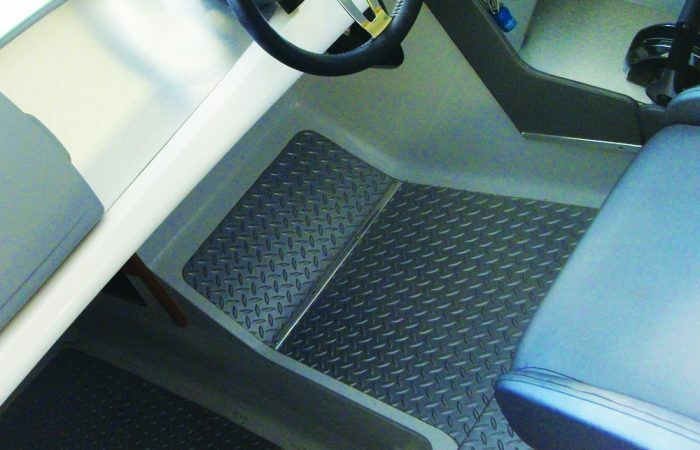 Over the 28 years of following the boatbuilding world, I have seen that one of the most important upgrade found in boats is the improvement of flooring options. 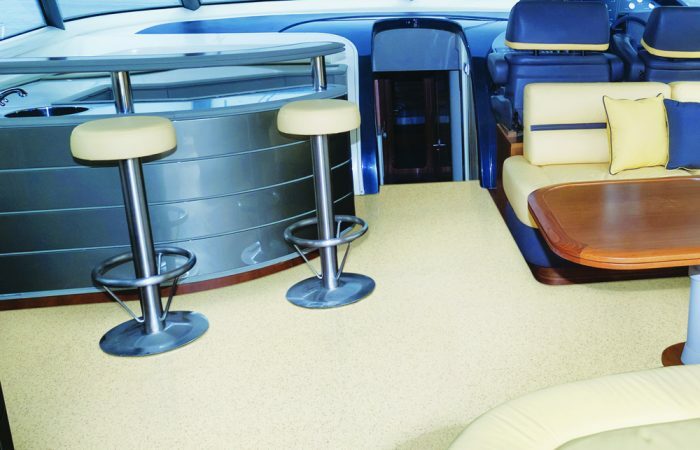 Lonseal® marine-grade, sheet vinyl flooring products were created not only to meet the customers’ needs aesthetically but also the durability. One of the reasons why most naval architects and designers choose Lonseal is due to the longevity of our product, which saves owners from unwanted repairs. Other advantages include; ease of maintenance, resistance to moisture, virtually seamless, noise-softening capabilities, slip-resistant, and ease of installation. 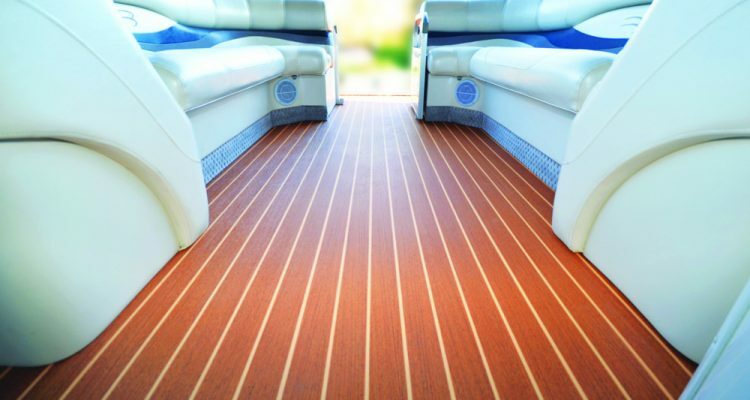 The versatility and strong performance are reasons why Lonseal’s sheet vinyl flooring is the most often sought out material for marine applications. Lonseal has been in the sheet vinyl flooring business for over 90 years, 46 of those had dedication towards the marine business, with the United States Navy as our first customer. Lonseal manufactures a wide variety of flooring choices ranging from smooth surfaces that mimic sealed concrete and wood visuals, to the textured variations of coin dots and diamond plate. Sheet flooring options are plentiful with over 35 styles to choose from. We like to set the market trends and are constantly working on designing new and innovative products to meet the customer’s needs. One major game changer was the introduction of our Lonmarine® line that embraces the traditional look of teak & holly (LONMARINE® WOOD main picture above). Over the years we have added several color variations that can enhance the beauty of any stateroom or salon. The realism of our wood’s appearance is what attracts customers to our products. Other products in our marine line-up are the Lonmarine® Stone and Loncommodore that has a traditional diamond plate design. All three of these styles are MED/USCG certified so that larger vessels and cruise ships can utilise them as well. I also have seen a great deal of enquiries in the industry about deck-type flooring, which brings me to share with you our Londeck Collection. This product line can be used in interior or exterior areas anywhere on board. The embossing in this line simulates a textured concrete (Londeck Sierra), a tree bark (Londeck) or a leather grain (Londeck Sol). At the same time the Londeck collection provides a soft feel and incredible traction in wet areas.